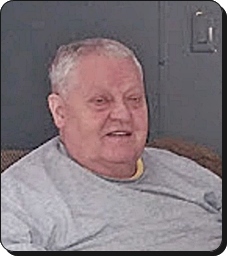 Stroo Funeral Home - Grand Rapids, MI - Jack Lofgren Jr.
Jack Allen Lofgren, Jr. age 70, passed away unexpectedly on Wednesday, May 16, 2018. He loved spending time with his grandchildren and was an avid fisherman. Jack also proudly served in the U.S. Air Force. He will be lovingly remembered by his children, Jack Allen Lofgren III, Matthew (Damary) Lofgren, Chad Lofgren, Ryan Lofgren; 12 grandchildren; two great-granddaughters; brothers, Robert, Randy, Dan; sisters, Linda and Susan; many nieces and nephews. The family will greet visitors on Monday, May 21, from 12 noon to 1 pm at Stroo Funeral Home, 1095 68th St. SE, where the memorial service will begin at 1 pm. Pastor Dean Prentiss will officiate. Memorial contributions may be given to the Salvation Army.